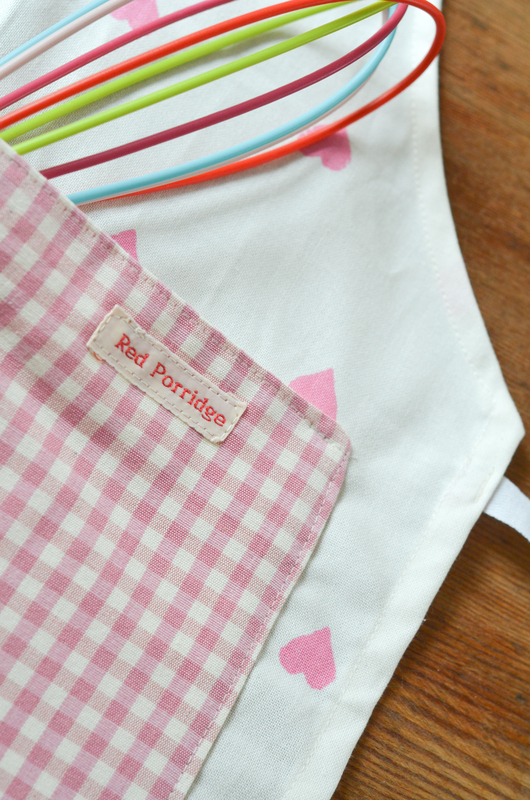 Ok, it’s time to announce my sponsor – Red Porridge! 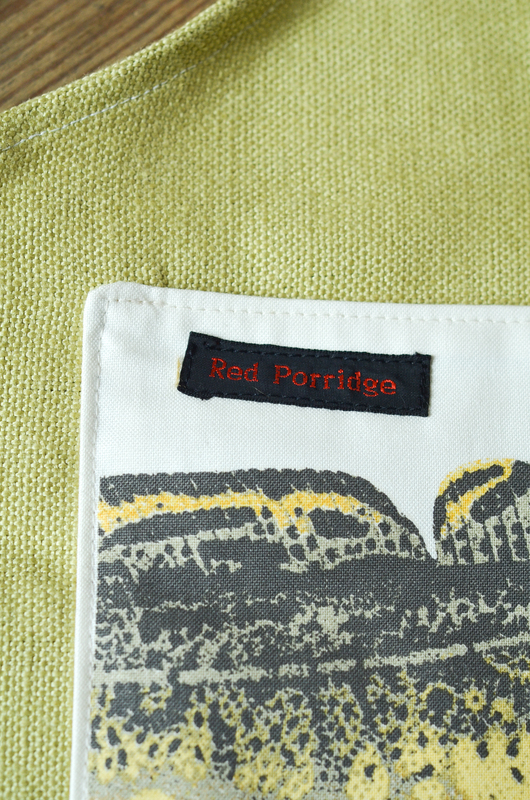 Red Porridge has very kindly agreed to sponsor my blog with some of their amazing craft wears! 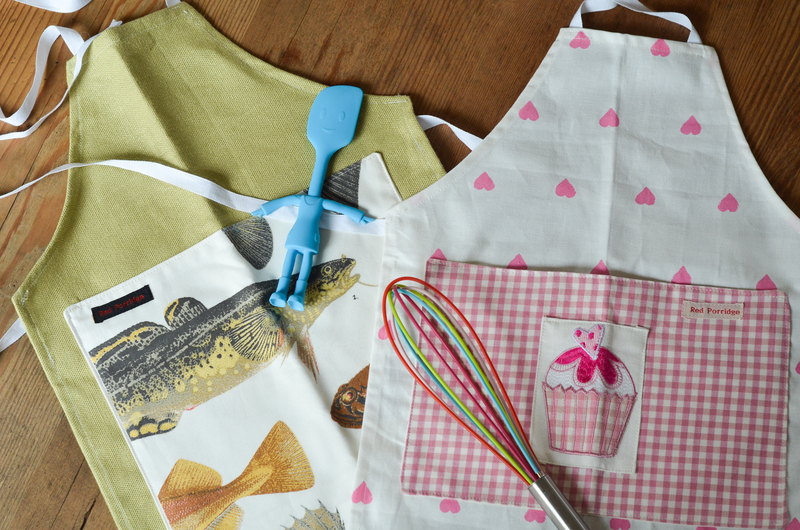 Yesterday i was very spoilt and was sent two aprons for the kids. One fits Annabel very well and of course Lachlan has a bit of growing to do before he attempts to fit in to his… But it’ll give him a good challenge! 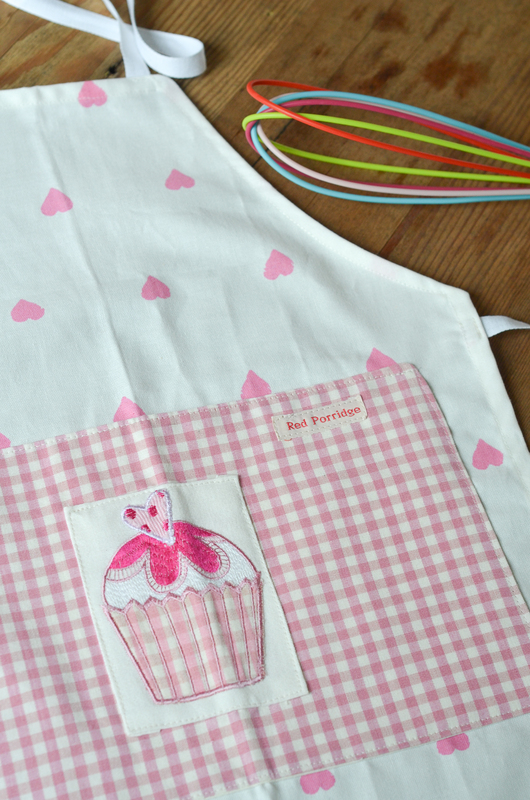 The aprons are beautifully hand made to perfection and are meant to wash really well. So Annabel and i are just going to have to get to work and make a nice mess of ourselves in the kitchen. I think chocolate brownies should do the job..
Red Porridge is a budding new business producing handmade and gorgeous bags of all descriptions. We are a team of two fabric fanatics who love to work with beautiful materials sourced lovingly, and never over produce any of our designs. It is highly unlikely that we will replicate exactly any bag we make, unless intentionally for a commission. Our signature is not just the beautiful main body of the bag, but look inside and you’ll see that we spend as much time and attention on the linings and trimmings as we do on the outside. In fact some bags are so delicious on the inside ……….. we have to make them reversible if we can’t make up our mind which is best! We believe that you should feel as proud of the bag that carries your shopping, beach towel or library books as you do your handbag. Thanks again for your sponsorship Red Porridge. 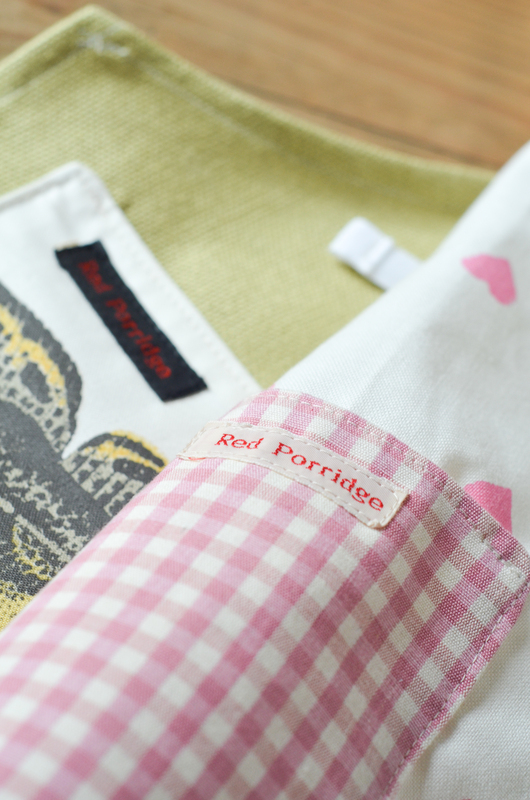 I think i may have my eye on a big beach bag in preparation for a summer holiday…. Ok, time to bake/make mess in the kitchen..